Hi there! 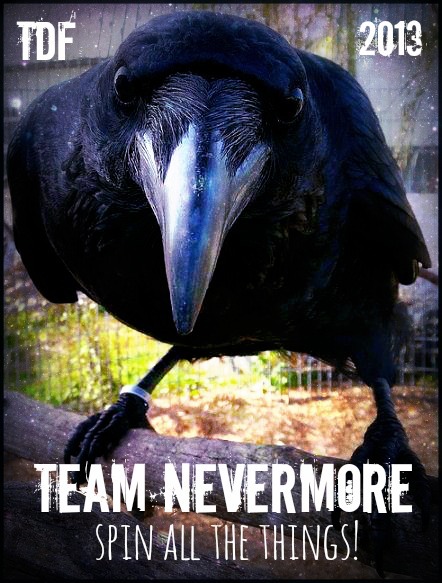 This is the official page for our Tour de Fleece [TdF] team of 2013, Team Nevermore – you can find a team roster, links to all the important posts, and the prizes all listed here. I’ll also post up the “rules” such as they are, and some images for you to steal and use in your TdF posts and around the net! 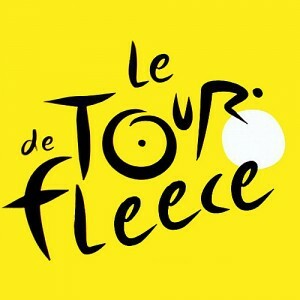 This year, the Tour de Fleece starts Saturday June 29 and runs until Sunday July 21nd, 2013. * Spin something challenging on the challenge day (usually the toughest high mountain stage: this year, it’s Stage 18, on Thursday, July 18th, when they climb Alpe d’Huez twice. * Take a button if you want one. Then we can use the button on our blogs in show of solidarity. And your Team Captain, Christiane K of Threeravens Fiber Studio! EweWearEms is offering one 4oz hand dyed Merino braid of her choosing, and additionally a hand-dyed skein of her super-colorful sock yarn, which will be Winner’s Choice from any listed in her shop at the time. So awesome! 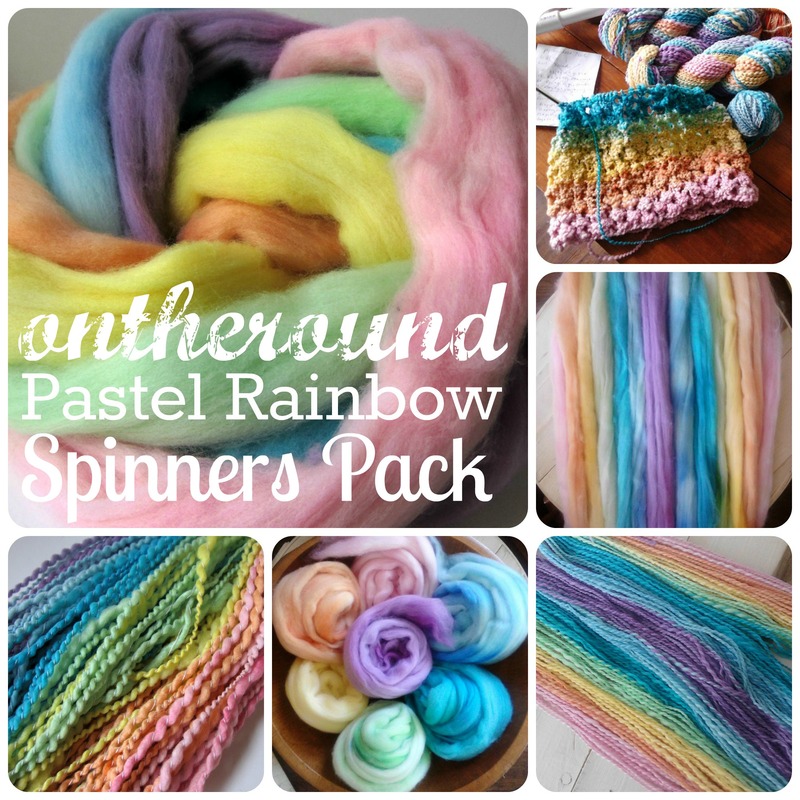 222 Handspun is offering a fantastic Loose Fiber Pack as a prize – these are great for breaking a spinner out of the rut, or for adding interest to one’s carded preparations. These are some of my favorite mixed packs to spin right out of the bag! 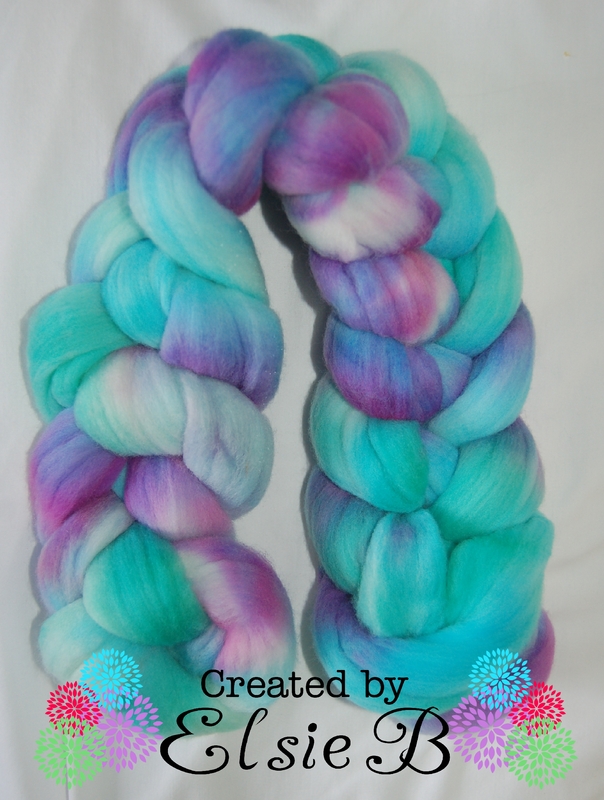 Sittin’ n’ Spinnin’ has a great prize for the Team – a 4 oz braid of the Winner’s choice from her shop! Heirloom Handknits is offering a Winner’s choice of a 4 oz dyed Merino braid, how lovely, or if the winner prefers, 4oz of custom rolags in the winner’s choice of colors! Zebisis Design is generously offering a $50 gift certificate to her shop of luxury lovelies! 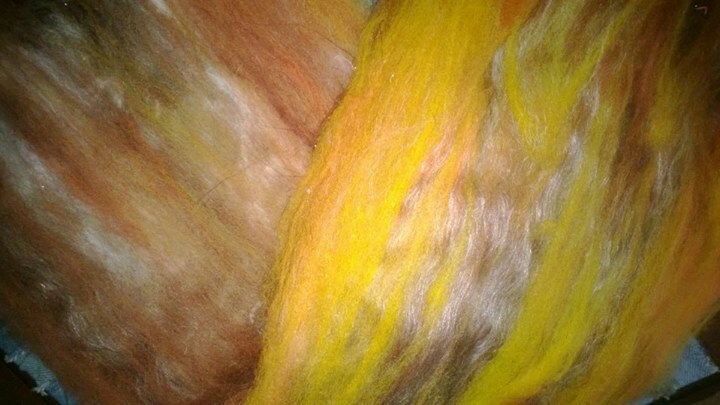 Pams Fiber Creations has offered a natural Romney Batt with various hand dyed locks, silk and angelina. 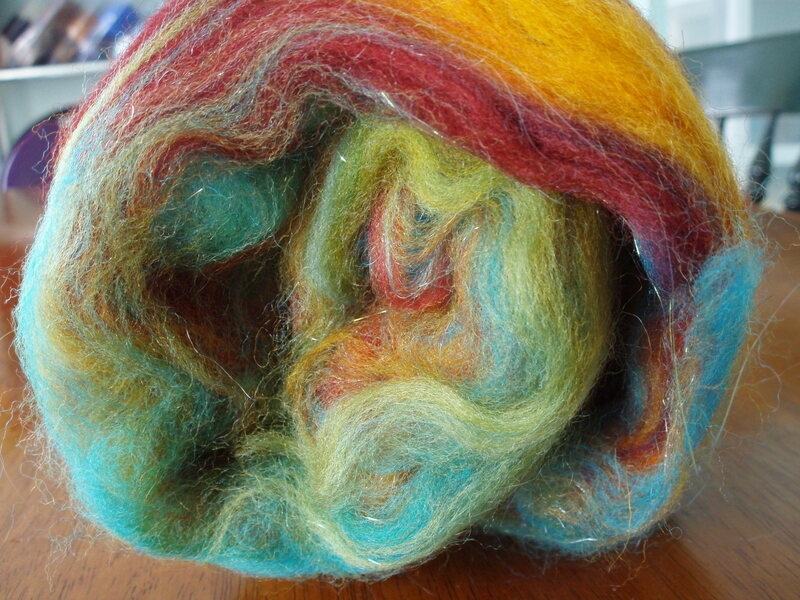 Included is a small handspun sample skein of how the batt will spin up. She also included a copy of her “Itty Bitty” book of “The Year In The Life Of A Spinner” – a small book filled with projects created by Pam, very inspirational! 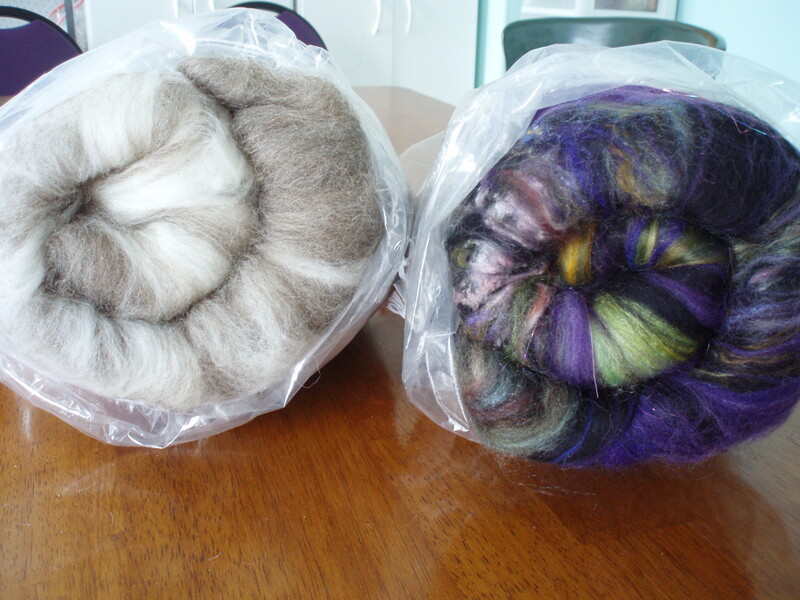 A SO SOFT Angora blend batt from Ashley Thomas-Mason, who has no shop but generously offered a prize to Team Nevermore. Guaranteed to make you cry, her Angora bunnies have the softest fiber! 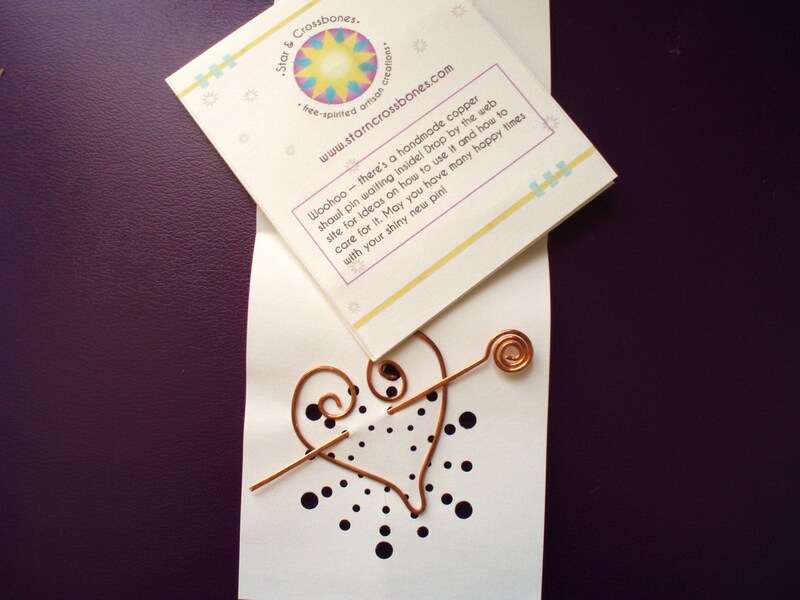 A beautiful handmade Shawl Pin from Star & Crossbones – http://www.starncrossbones.com/! 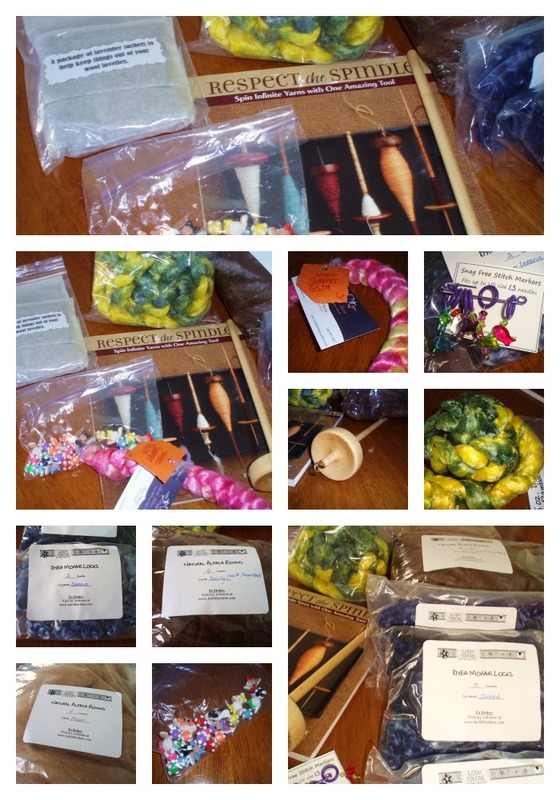 SO many things from Lush Fibers – http://www.lushfiberfarm.com/! 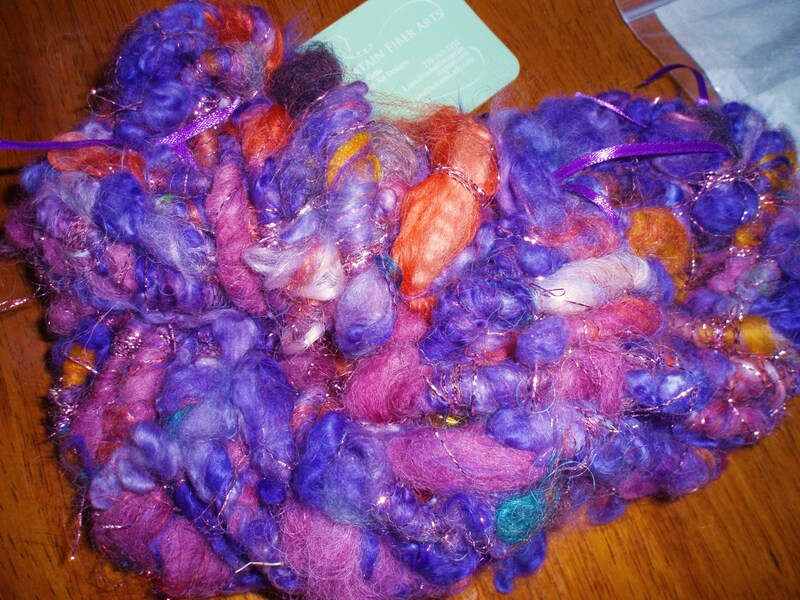 The motherlode: 4 oz pack of alpaca roving, 6 oz pack of alpaca roving, 1oz dyed bamboo, lavender sachets, three packs of dyed mohair locks, stitch markers, beads, drop spindle kit (book & spindle), 5 oz dyed bamboo. All amazing. 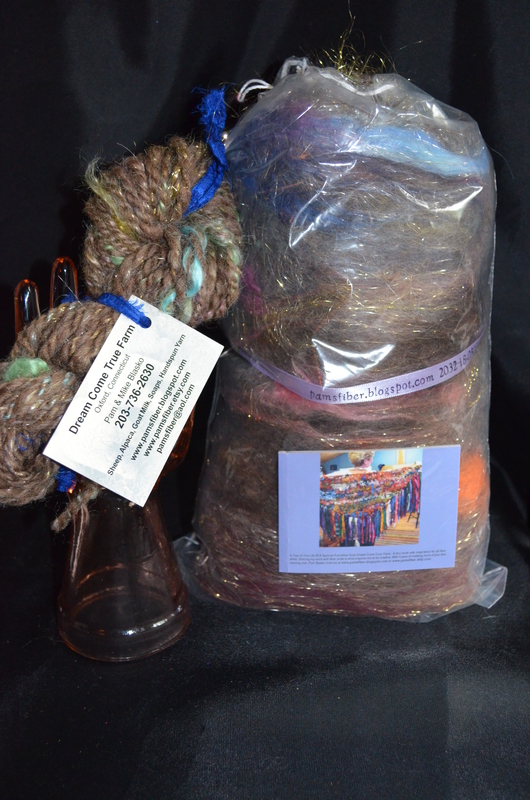 Taneliearth is generously offering several items from his shop – a four oz braid of hand painted fiber or 2oz art batt; and a 2oz braid of hand painted Mulberry Silk. There’s also a special surprise challenge batt – inspiration and circumstances to win to be announced! 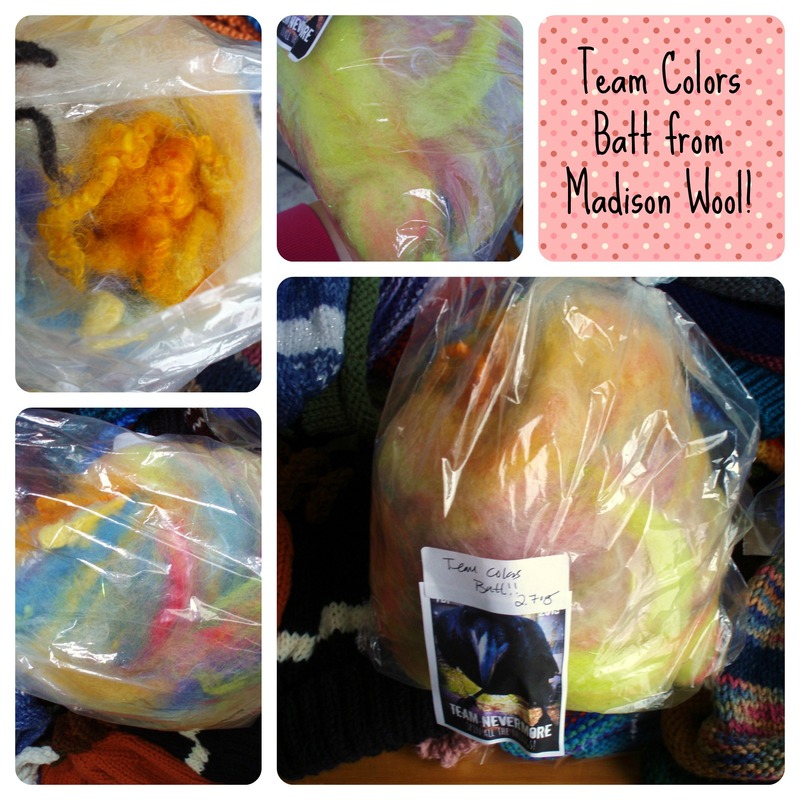 TEAM COLOR fiber batts are on the way from Madison Wool – http://madisonwool.com/! What’s our team colors? Well, bright yellow and hot pink, of course. And even more prizes to come! AMAZING prizes await! What an amazing group of people! I’m psyched! I’m trying to sign up for this, but there is no comment box under the original post for me. Is it too late. YAY! You will get special cheering, as a newbie – I’m so honored to have you on the team, Ange! SignMe Up.. Looks like Fun.. If it isn’t too late to join, sign me up, please! I want to play…signed up for the newsletter…does that sign me up for the tour? Thanks! *g* And I’m very glad you found the blog, too!